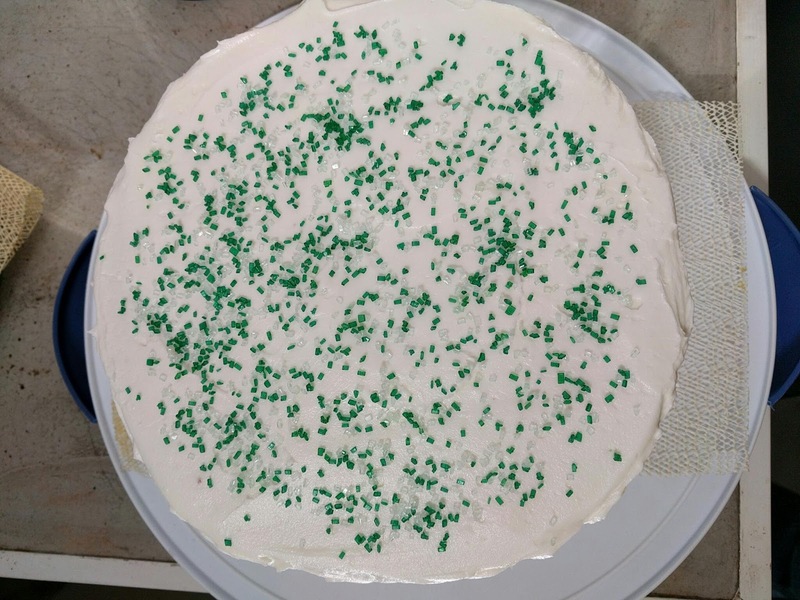 We celebrated my grandmother's birthday this past weekend, and as she requested, I baked her a birthday cake. Nothing too fancy, a white almond and dark chocolate layered cake with vanilla buttercream. 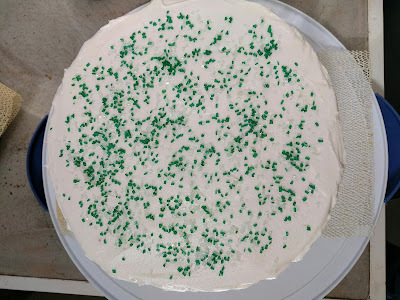 The green sugar is the only acknowledgement of the St. Patrick's Day weekend. Turns out I didn't bake a large enough cake - there twice as many people there than I had expected, so the slices ended up being thin and halved. There was also a fruit tart, but that went unnoticed. I ran into Mr. Fussy at Nine Pin a few weekends ago and he had mentioned I had survived the blog roll purge. Not bad. I wish I had the motivation to write as much as he does, but writing is hard for me. And as I explained to him at the time, it is much easier to post on Instagram than write blog posts. If you look at my IG feed, you will see that I post almost daily. Photo with a few words... send. If writing could be that simple.